The following is a selection of children and teen costumes I have created over the years. If you are looking for a teen sized costume feel free to contact me for information and prices. Teen size costumes are priced the same as adults and involve the same amount of work to create. 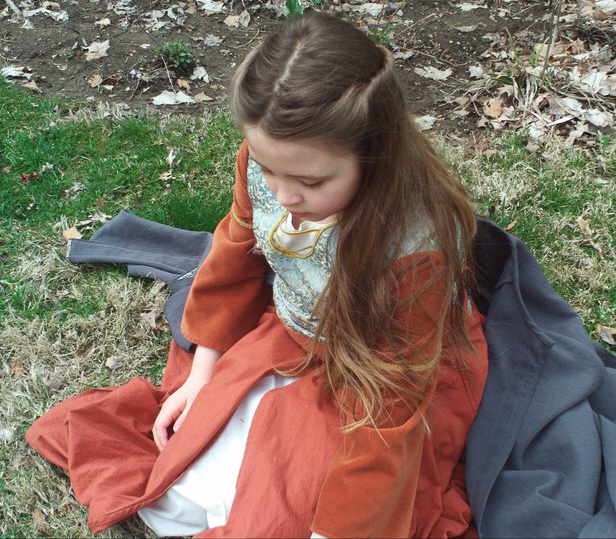 The following photos are some costumes Inspired by the Lucy outfit worn in Voyage of the Dawn Treader. It is not meant to be identical to the orginal but simply inspired by the one worn in the film. 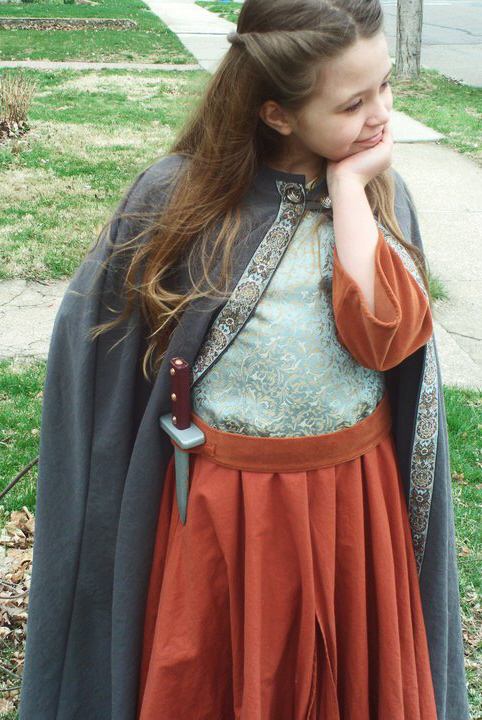 Over the years I have sewn many Narnia inspired costumes. Whether the garments are for events, plays or Halloween parties each garment was a fun project. 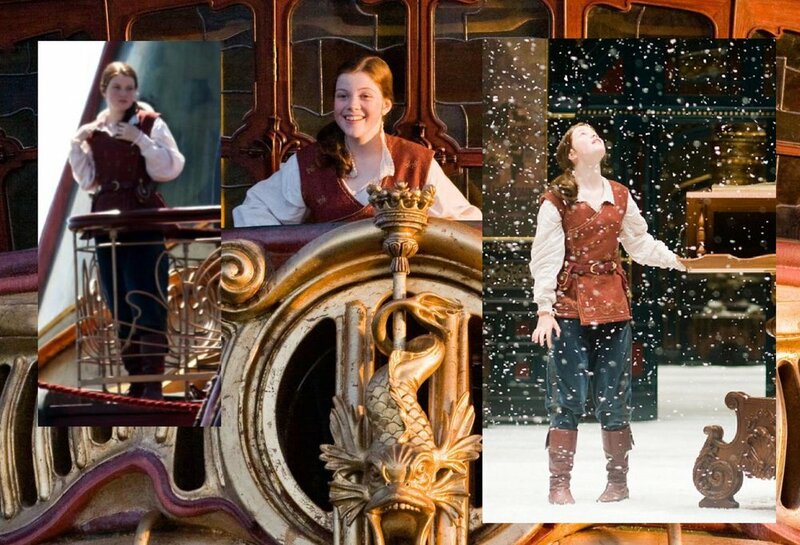 The following is a selection of costumes inspired by the ones Susan wore in the current Narnia films. 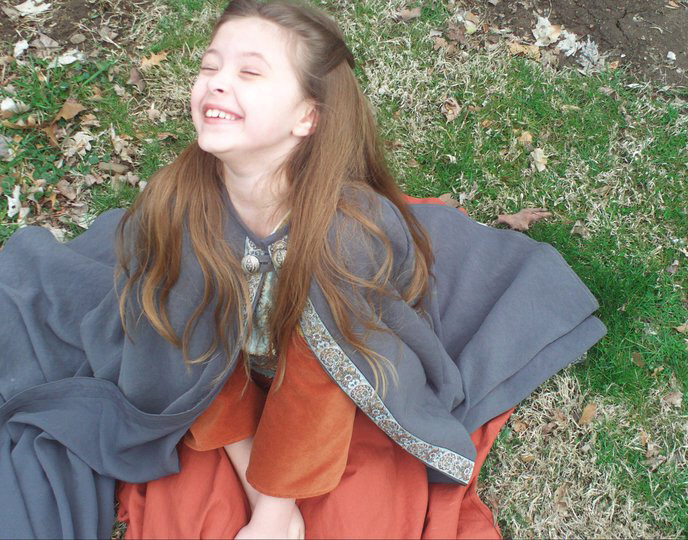 These include Susan's Narnia Archery Dress, Susan's Farewell Costume and Susan's Prince Caspian Purple Dress. Susan's Farewell gown seems to be the most popular option. 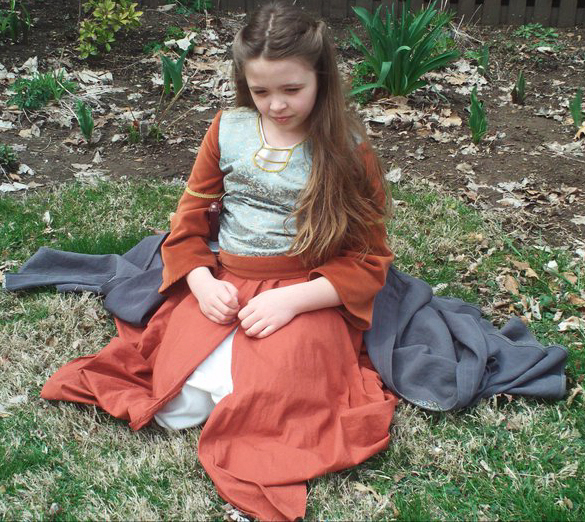 Below are some photos of a few little girl versions of Susan's Archery Dress Costume from Narnia.